I really struggled to write this as it’s hard to put in words how much I have gained since joining Enterprise and how appreciative I am. 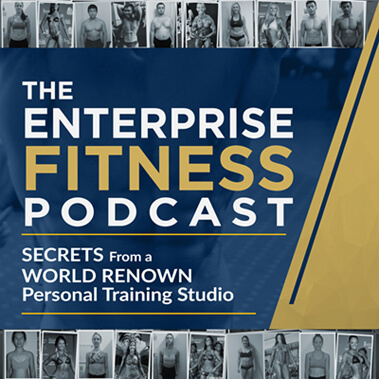 I have always been passionate about health and fitness, but it wasn’t until I came to Enterprise that I realised it was for the all wrong reasons. I was all about being skinny, I was a cardio bunny who underate and overtrained. After I competed in my first bikini competition I saw girls who looked strong and healthy and was inspired to become one of them. I was just beginning to eat more and learn how to lift weights, but I realised there was so little I knew and I wanted to learn so much more and grow in every way possible. I couldn’t have been paired with a better coach! Being vegan/vegetarian at the time, Nathan helped me with my transition into eating meat and seeing food as fuel to help with my goals instead of feeling guilty and I actually found it so easy that I am now enjoying steaks for breakfast! My mindset has completely changed for the better and I am FOREVER GRATEFUL for Nathan for believing in me when I didn’t believe in myself and for lifting my confidence to the highest it’s ever been. Placing 3rd in Fitness at the ICN Rookie Show was just the cherry on top of the amazing journey that he has guided me through. 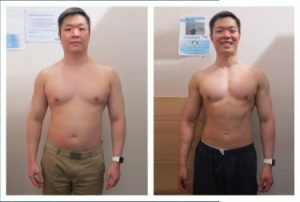 He helped me achieve my short-term goal of competing in Fitness, whilst also caring about my long-term health in the process. I have never been stronger mentally and physically, but most importantly the happiest I’ve ever been! I can’t wait to keep on learning more about my body and becoming the best version of me I can be!